The basin truly taking it's time after historic Cat 5 Wutip in February or another backloaded season? Last edited by euro6208 on Sun Apr 14, 2019 7:36 am, edited 1 time in total. 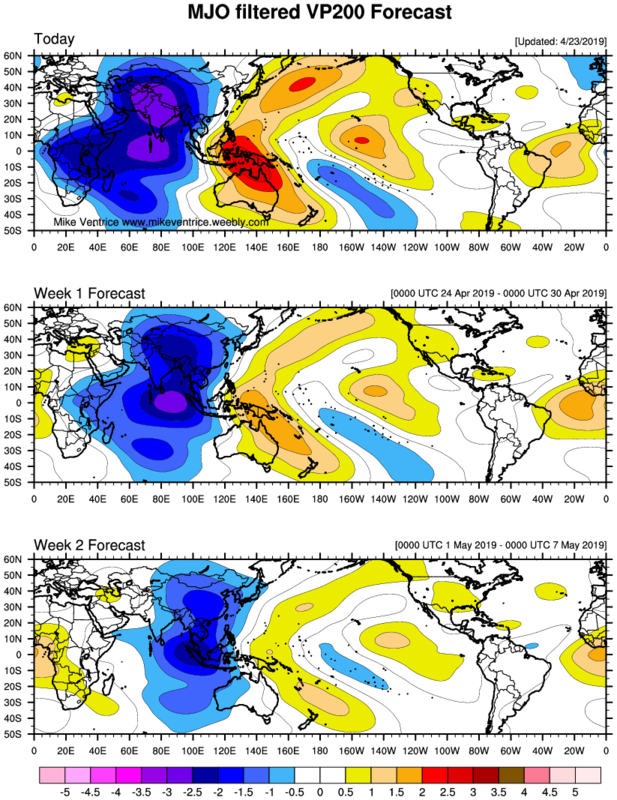 GFS back to some action as another MJO is possible mid month next week unless some surprises occur. 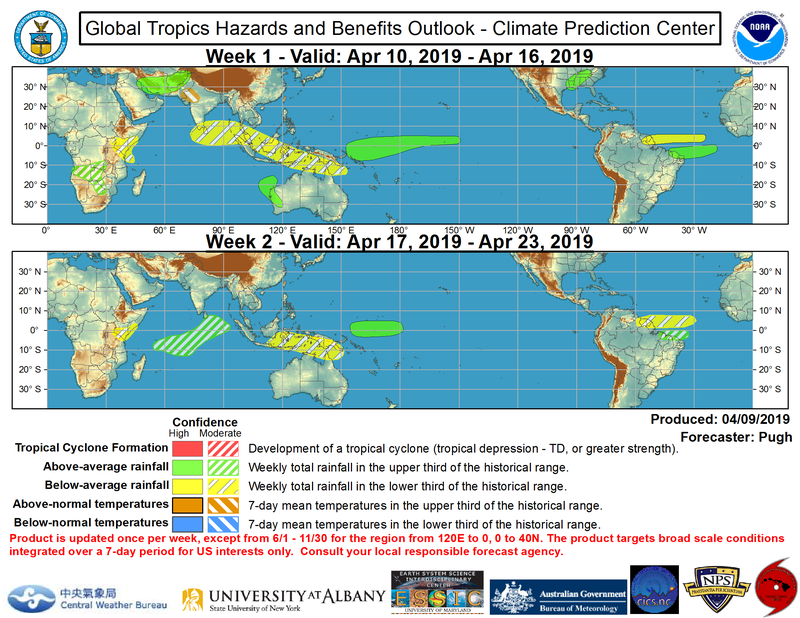 It is only the middle of April, and May is historically the quietest time of year for tropical cyclones globally, so it is not unusual to have a prolonged quiet period in any basin at this time of year. Peak season in the NWP is August-September, so no reason to write the basin off yet. True. 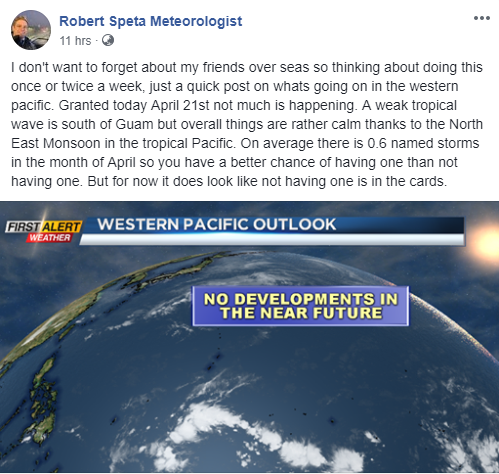 But the slowest months climatologically is February and March for the WPAC so it's unusual that April hasn't produce anything as of late. 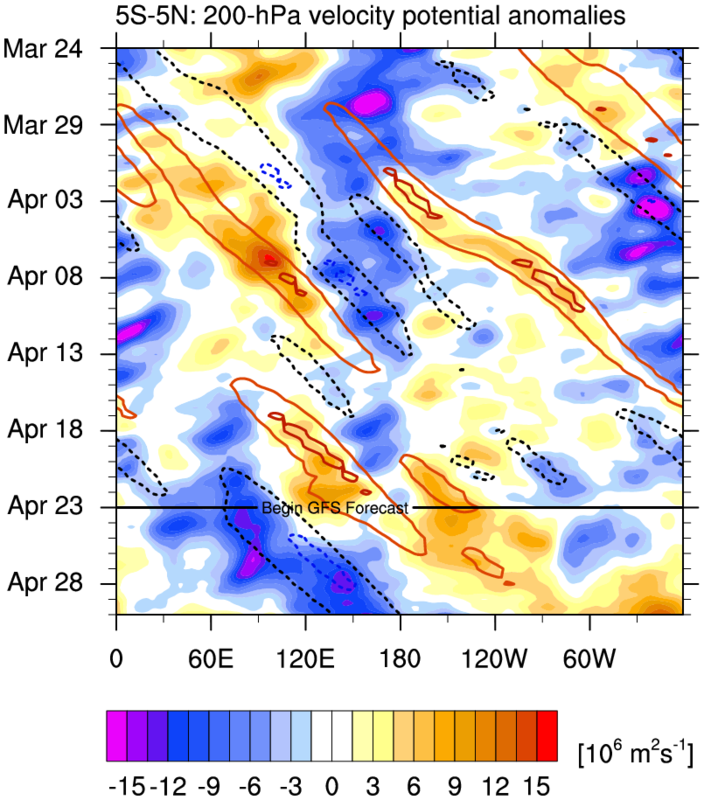 Maybe it was the hype that was Wutip and the possible el nino. Yeah it's the El Nino hype that got my hopes up for back to back named storms just after Wutip. WPAC above average in all areas. 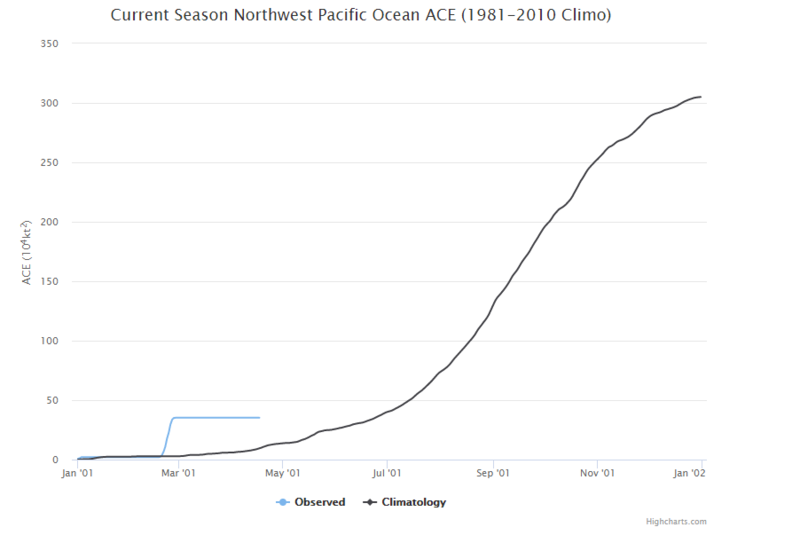 With an ACE of 35.2, it can remain dormant until the middle of June and still be on par with climatology. On average there is 0.6 named storms in the month of April. CMC and NAVGEM also on board. It's a large system alright. Models are still very limited intensification to no intensification. No wonder why the models are starting to pick up on some activity. KW looking pretty potent. MJO right behind. 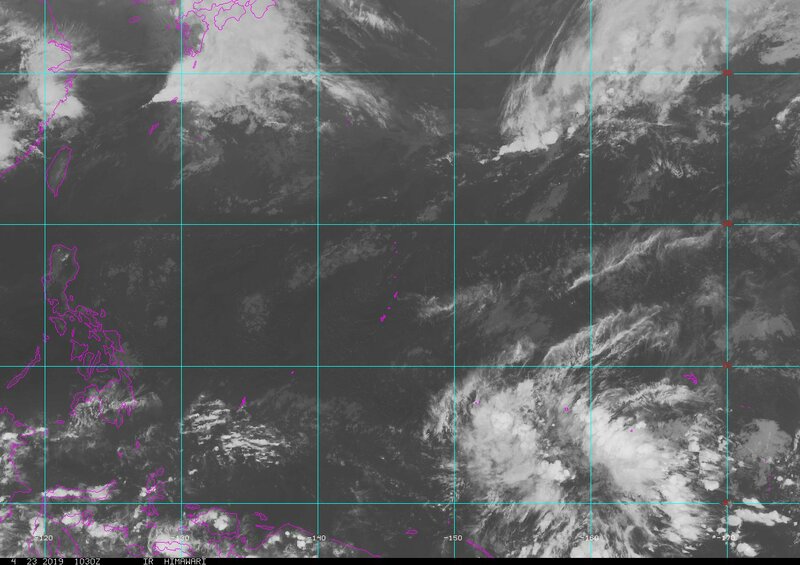 GFS long range has a significant TC developing southeast of the Marianas for several runs now.